Exoft Client Reviews, Rating and Analysis Report. 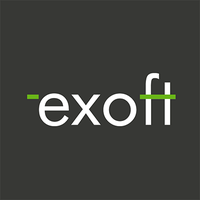 Exoft was founded as a custom development provider specializing in development using Microsoft technologies. We can offer an entire package: from initial concepts to final delivery of an outsourced project of any size. With our company you can feel all the benefits of outsourcing IT projects: high-quality work for reasonable costs. This software solution allows healthcare providers to easily and routinely solicit feedback from patients through existing clinical software or using the patients own mobile device. Clinicians, case managers and healthcare executives can view aggregate data on treatment outcomes and quality for the whole clinic. Fantastic service and support, great team! We are happy with the work. We worked with a number of developers, and when we were not happy with a developer, our Exoft contact worked to find someone to meet our needs. The main reason I enjoy working with Exoft is that they produce consistently high quality work . We had looked at several outsourced solutions for our development activities and found that Exoft provide highly skilled resources at very good hourly rates. The developers continuously strive to understand our requirements and build high quality solutions. I would highly recommend Exoft. They are trustworthy, support and extremely knowledgeable. Yoi won't find a much better offshore dev resource. Exoft has great team with excellent professional skills.